Yes, that’s right, United Airlines announced that it would be joining Frontiers Airlines and Allegiant in charging for carry on bags. 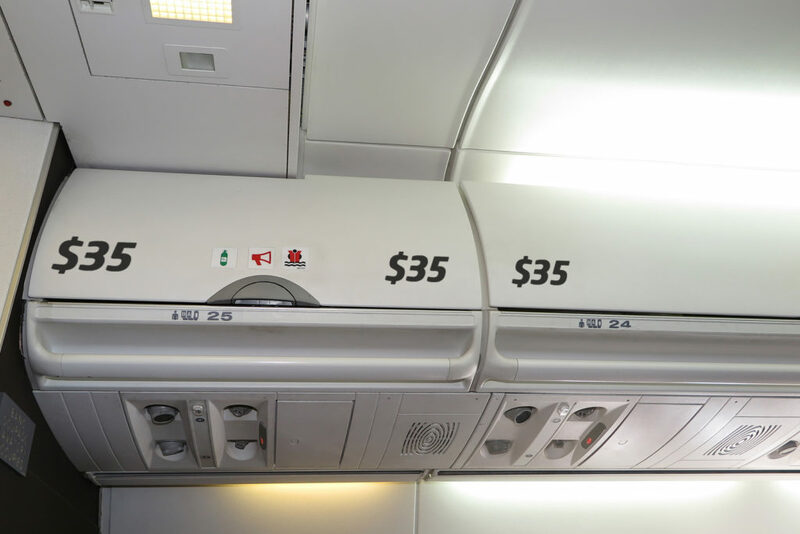 It wasn’t that long ago that airlines began up charging for checking a bag or two. And travelers got used to packing less and carrying everything onto the plane to avoid fees. It spawned a whole new wave of purchasing luggage that continues to this day as every traveler now resembles flight crew with their 2-3 day roll-on bag. The new behavior of travelers seeking to avoid fees for checked bags quickly overwhelmed most airplanes and air crews. Flight crews now routinely struggle with running out of bag space on board, and confronting passengers who are exceeding the limits. Some aircrews now say it is one of the most challenging aspects of their jobs. And even travelers are beginning to push back. And baggage fees are quickly becoming the number one complaint of travelers (besides flight delays and overbooking). They have also become unwilling baggage handlers at embarking and debarking. And for consumers, all those bags slow our ability to board the plane and make connections at the other end. Not only do passengers have to each try to retrieve their bags out of the overhead bins, but gate crews also have to bring up a fair numbers of bags that couldn’t fit (either due to size or lack of space) before anyone can unload. Trying to sneak that oversized carry on bag on-board? Realize that sometimes “gate checking” a bag that is too big will cost you MORE than if you just paid for another carry-on, or chose to check it in the first place, especially if flying Spirit, Frontier or Allegiant. For your personal item/under the seat bag, make sure it is no more than 14” tall, 8” wide, and 18” long (including handles, wheels, and straps). United’s requirements are smaller – See more below. 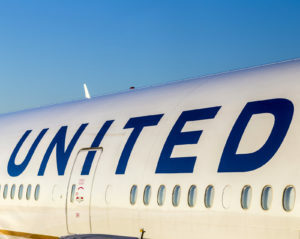 As of this writing, United’s page at https://www.united.com/CMS/en-US/travel/Pages/BaggageCarry-On.aspx has not been changed. “Our fares include one free personal item (a personal item must be able to be stowed under the seat in front of you). Carry-on baggage is not included in your fare. 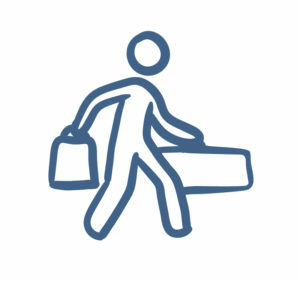 You can purchase carry-on baggage at the time of booking and after booking. Please visit our How to Buy Bags page for more information. Remember if you purchased one of our bundles, the WORKS℠ or the PERKS ℠, a carry-on is included! Allegiant Air also only allows a personal item that will fit under the seat. Any other carry-ons will cost you exactly the same as checked luggage. Airfares are still very low historically and deals abound if you can plan your travel well ahead of time. This might make up for any additional fees for bags either checked or carry on. Looking to avoid checked bags charges on carry on bag charges? Looking to avoid add-on charges altogether? Also note that what constitutes a “carry-on” may not jive with your bag: The size limits set by the ”Big Three” (United, American and Delta) for most permissible carry-on bags is 22 inches long by 14 inches wide by 9 inches tall. Some U.S. carriers may allow you a bit more room. There is no “typical” international standard checked bag size. British Airways is generous at 1 handbag/laptop bag (max. 23kg / 51lb; up to 40cm x 30cm x 15cm or 16” x 12” x 6”), plus 1 cabin carry-on bag (weight max. 23kg/51lb and up to 56cm x 45cm x 25cm or 22” x 18” x 10”) but this also does not take into account every BA route, and realize that you may be taking connecting flights. In the past the International Air Transport Association (IATA) suggested universal bag guidelines. Now, each airline has it’s own standard, so check with your carrier. Realize that most will give sizes based on centimeters, not U.S. inches, such as 55cm x 40-45cm x 23cm. Of course, if you check bags, there is always the potential of them losing your bag. For some travelers, that is their primary reason for purchasing travel medical insurance. 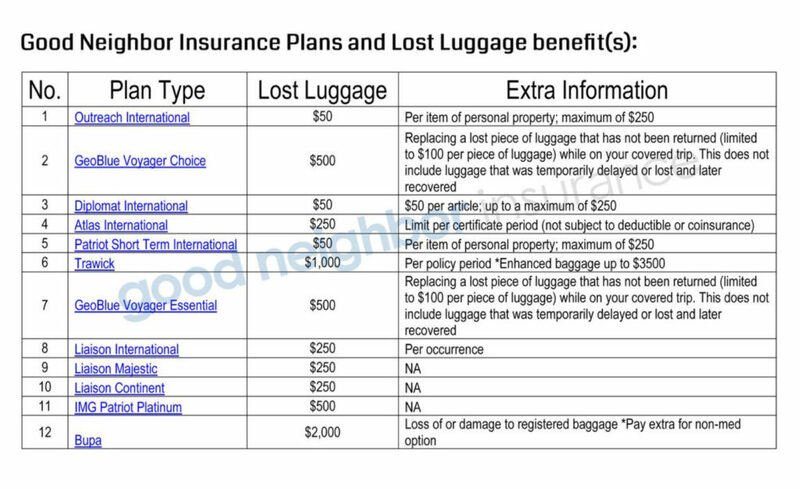 It shouldn’t be your primary reason, but since all of our plans are relatively affordable at $1.00-$2.00 a day, and all include emergency medical evacuation, you can use the lost baggage benefit chart at https://www.gninsurance.com/articles-about-international-insurance-resource-library/short-term-travel-insurance-articles/chart-comparing-lost-luggage-benefits/ to help you select the right plan for you.